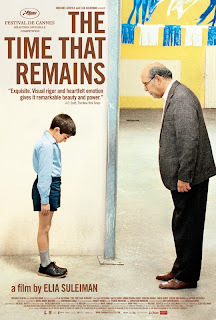 Review | "The Time That Remains"
No one has quite captured the Palestinian/Israeli conflict from the Palestinian perspective better than director Elia Suleiman. His unique and often humorous examinations of the tensions that plague the region have drawn both praise and criticism - his 2002 film Divine Intervention causing quite a bit of controversy for being such a pointed satire of Israeli occupation of Palestine. There is no question about how Suleiman feels about the conflict. His films reflect a deep desire for Palestinian sovereignty, highlighting the essential absurdity of the region's turmoil through droll, Tati-esque humor. But those who see him as anti-Semitic are barking up the wrong tree. Suleiman is a unique and vivid voice for Palestine who is making a peaceful noise through film. 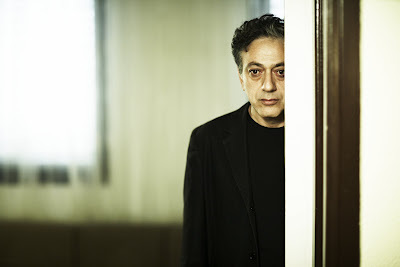 His latest film, The Time That Remains, is much more personal than his previous work, and in a way, much more serious. It still has that same Tati-like spark and dry sense of humor, but at its core there is a much deeper sadness at work. 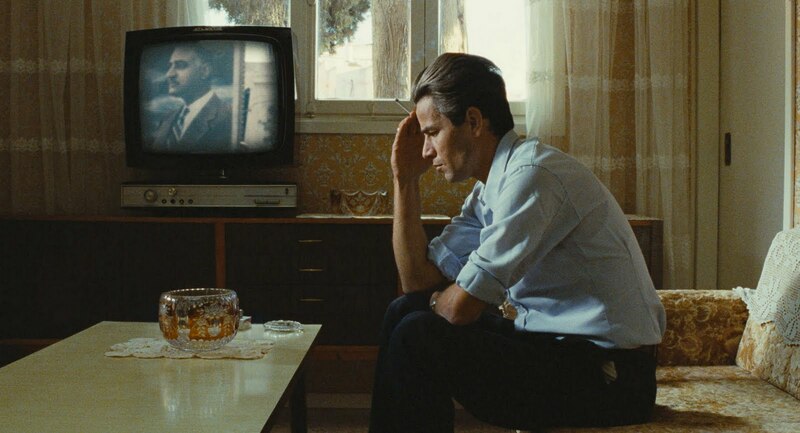 Subtitled "Chronicle of a Present Absentee," The Time That Remains is an autobiographical look at the plight of Palestine since the founding of the state of Israel in 1948. Casting himself as a passive observer (or "present absentee"), Suleiman takes us on a tour of his life, and on a grander scale, the life of a nation that no longer exists (yet another "present absentee"). As Suleiman is a man in search of an identity from childhood, to adolescence, to adulthood, so too is Palestine, a nation that finds itself swallowed by another nation, its people now strangers in their own land. The film is a series of a vignettes, moments from Suleiman's own life that reflect the absurdities and tragedies of Palestinian life from 1948 to the present. But more so than in the more outright comedic Divine Intervention, The Time That Remains is a film of deep sadness. It is more of an elegy than a farce, despite some truly funny moments (a fight between doctors and police over a wounded man in a bed is a comedic highlight). True to form, however, Suleiman's comedy is not without purpose, and each scene serves to underscore a different absurdity, irony, or tragedy of Palestinian life in Nazareth. The vignette structure of the film has a tendency to feel a bit disjointed, especially as it skips forward in time, but Suleiman has a brilliant eye for composition, and has a perfectly deadpan, melancholy countenance that is reminiscent of Buster Keaton. His presence is sorely missed in the film's first two thirds where his character is younger. His appearance in the final third adds a much needed jolt. His presence is essential as no one quite captures the mood and tone of the film quite like he does. But even when he is not there you can feel him, through the camera's satirical gaze, through the deliberately structured compositions - it is unmistakably Suleiman's work. The Time That Remains is a deeply personal film for Suleiman, as he uses his own family as a microcosm of a greater Palestinian plight. He has channeled what he saw going on around him into a timeless and haunting evocation of oppression with wit and charm. His touch has always been light, and while he stays true to form, there is unmistakably something deeper at work beneath the surface. Suleiman is a master satirist, and his latest film is not so much an anguished cry of a nation as it is a frank and clear-eyed elegy for a nation in search of an identity, a "present absentee" in search of a home, and a people in search of a voice. In Suleiman, they may have found it. 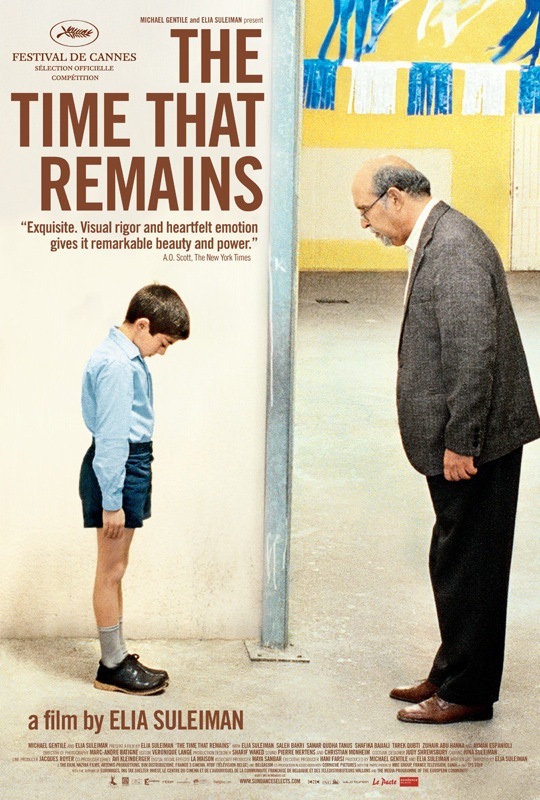 THE TIME THAT REMAINS | Directed by Elia Suleiman | Stars Elia Suleiman, Ali Suliman, Saleh Bakri, Amer Hlehel, Lotuf Neusser | Not rated | In Hebrew and Arabic w/English subtitles | Now playing in select cities. Review | "Ip Man 2: Legend of the Grandmaster"
DVD Spotlight | "Picture Me: A Model's Diary"